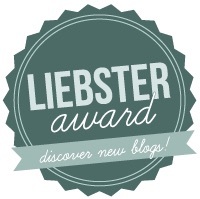 So, let’s have a look at the rules of the Liebster award..
We try to post a recipe every day if we can, and each one takes at least an hour to write up, check, and so on, so 7 – 10 hours. Ellie – soup. Alex – polenta with mushrooms! The train! We both commute, boo… Also walking, as neither of us drives. A good few months! Then we started veganbungalow with a few recipes, thought about it for another three months… and then finally got going properly! It really makes us think about variety in our cooking, as veganism in general does! We love to showcase veganised versions of local dishes. Ellie – mumble mumble oh erm, I love to cook, draw, and I fail spectacularly at growing vegetables every single year! Learning from and engaging with other bloggers is great! And the whole process makes us think more about our recipes and the types of food we eat. Enjoy it! You’ll get to talk to like minded people and gain inspiration from them . Oh, and a thrill every time someone follows or comments on the blog! Is there an ingredient you particularly love using? Do you stage your food and backdrop for your recipe photos? Tell me something fun about you? Do you cook recipes from other blogs? Is there an ingredient you’ve always wanted to try but not been able to get hold of? Does everyone in your household follow the same type of diet? Oh you so should, it be fun! You can see if you can break my record of… ahem… drum roll… 4 tomatoes, from 6 big plants!